Volkswagen’s clean diesels didn’t go over too well in the end, if you hadn’t heard. The company tipped a global set of dominoes when it got caught cheating its diesel emissions, and now the New York Times reports that Volkswagen said the German government should think about phasing out the subsidies urging Europeans to buy diesel cars—a huge portion of auto sales in Europe. Mr. Müller is the first German auto boss to publicly suggest that the government should stop subsidizing diesel, a step that would certainly hasten the technology’s demise. Though cautiously formulated, his comments represented a major turnaround. 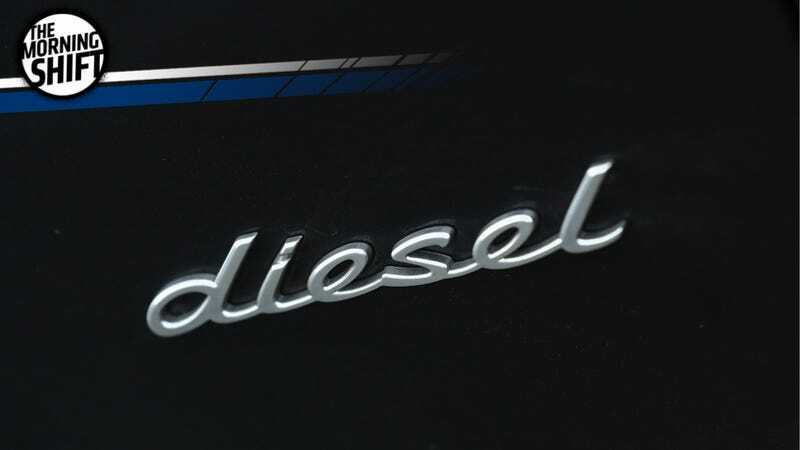 Diesel was practically sacred to German carmakers until recently, but sales have been plummeting since Volkswagen confessed in 2015 to widespread cheating on emissions tests, a scandal that drew attention to the health hazards of diesel exhaust. The New York Times reports that Müller also said he’s in favor of banning older diesels from city centers, but that the restrictions shouldn’t apply for newer diesel cars that meet emissions targets. Volkswagen: The champion of clean emissions, everyone. Ford is getting in on this autonomy game, too, and Automotive News reports that company sales executive Jim Farley said he thinks Ford’s taking a more practical approach than other car companies. Since automakers and other companies deploying autonomous car fleets in large cities is the new hip and cool thing to do, Ford plans to get on that train as well. Automotive News reports that Ford’s test city hasn’t been named yet, but that its general plan is more extensive than others: Compared to GM’s ride-hailing services, Ford’s driverless cars will be used commercially, for package delivery and other things. Ford expects its vehicles will be on the road for roughly 20 hours a day, and Farley said using battery-electric vehicles doesn’t make business sense because they would need to recharge multiple times a day, cutting into profits. He said fast-charging the battery also deteriorates its shelf life, which would necessitate more frequent replacement. Ford also plans to design a new vehicle to be autonomous rather than putting autonomy on an existing car, which means your beloved Fusion probably won’t drive itself anytime soon. Uber got banned from operating in London earlier this year, and Reuters reports that the company will appeal the loss of its London license in the spring. Uber lost its license after transport regulator Transport for London decided that the company’s “approach and conduct was not fit and proper to hold a private vehicle hire license,” according to Reuters. That vibe has been pretty standard for Uber in recent memory. Reuters reports that a British judge said at a preliminary hearing Monday that the appeal for Uber’s license is set to begin April 30 and take five days, but that it could be delayed until June. A judged at the U.S. District Court in Detroit sentenced Oliver Schmidt, head of Volkswagen’s U.S. regulatory compliance office from 2014 to 2015, to seven years in prison last Wednesday for his role in the company’s emissions cheating scandal that surfaced in 2015. Schmidt was fined $400,000 in addition to prison. Schmidt read a written statement in court acknowledging his guilt. Welt am Sonntag quoted Schmidt’s lawyer Alexander Saettele as saying that he was looking into a possible appeal but that no decision had been made yet. The verdict “was not a surprise, but it was still disappointing to him that he was not able to get through to the judge,” Saettele told the paper. According to Reuters, a company spokesperson said Schmidt could also face disciplinary action at Volkswagen. That could include a termination of contract and/or damage claims. Automotive News reports that the company also wants to change its compliance system across all of its brands—Volkswagen, Audi and Porsche—to keep this kind of thing from happening again. We greedy, social status-oriented humans have managed to equate “luxury” with “less access,” so that’s exactly what Hyundai’s new Genesis brand plans to have. Automotive News reports that because “it can have only a limited number” to be profitable, Hyundai Motor America wants Genesis to have less than 100 stand-alone dealers next year. ... [T]he ultimate number will be considerably lower than the roughly 350 Hyundai outlets that currently sell Genesis vehicles. Squaring those numbers has been a contentious issue, one that came to a head at a dealer council meeting in Dallas in November. Dealers briefly walked out of discussions with brand executives amid frustration with the decision to open Genesis points to non-Hyundai dealers. They eventually rejoined the meeting, which continued as planned, sources told Automotive News. The Hyundai-Genesis split is a tricky thing to think about. Genesis wants to break free of Hyundai and become an ultra-luxury brand, but it wasn’t that long ago that the Hyundai-badged Genesis was a vehicle. So, will it just take time for Genesis to establish itself as separate and higher-end, and will the scarce dealerships help?